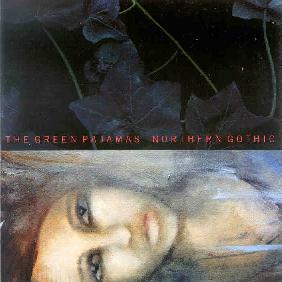 The Green Pajamas - "Northern Gothic"
Another ace set of paisley psych from this long running Washington band. I already raved about their earlier This is Where We Disappear in a previous review (see AI #19), so rather than re-state a bunch of the same blah-blah lets just say that everything that was written pretty much applies here. Once again they run the gamut of styles, from the catchy, chiming Rain Parade-like “In the Burning Moonlight”, to the heavy fuzz outs “Christine Crystalline” and “First Love”. Even a bit of Crazy Horse inspired rock comes in on “Lost Girls Song”. Jeff Kelly’s lead guitar work is more out front and overtly fuzz-psych then ever, and both Laura Weller and Eric Lichter contribute multiple vocals as well, expanding the sonic palette even further than previous releases. Overall the upbeat pop of their earlier work is getting left behind and replaced by songs that are darker, heavier and more ROCK, which suits me more than just fine. This is a shoe-in for my top of 2002 list, and I can’t recommend it enough.